History in the city of Los Angeles is happening today, April 13, 2016, as media and fans flock to Staples Center for Kobe Bryant’s final game. 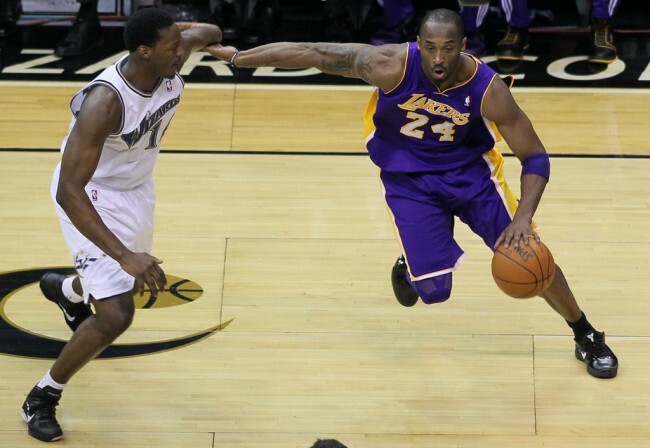 Bryant has been in the NBA for twenty years and has been a star with the Los Angeles Lakers. There have been good and bad times for the Lakers star and with five championships, the future hall of famer is looking to go out a winner. The last few seasons Bryant has been plagued with injuries that have kept the Black Mamba out of play or only allowed limited play even in his 20th and final season. Still, that has not stopped fans from traveling the country just to see Bryant play in his final games throughout the season. Now, as the time ticks for his final game at home, fans, celebrities and media are flocking to Staples Center for his final game. Many just want one more chance to see the Black Mamba play live once more. Bryant has been labeled the Michael Jordan of his era and with five rings and his work ethic he has earned the respect of his peers, veterans and fans worldwide. He has given Laker fans twenty years and now he is preparing to make his final curtain call tonight to a sold out crowd at Staples Center against the Utah Jazz. Shaquille O’Neal is expected to be in attendance for tonight’s game. Bryant is reportedly going to play all of his final game. April 13, will go down in history for the city of Los Angeles, as Lakers superstar, Bryant plays his last game. He is preparing to play in his final game in his 20-year-career and it should be a memorable night. Fans can look forward to a great night of fun and highlights when he takes the floor, one last time, wearing his No. 24 Laker jersey. The Laker organzition will also have both of his numbers, 8 and 24, painted on the Laker floor come game time. 8 and 24 are the two numbers he has worn during his iconic career. It is when he donned the No. 24, he became the Black Mamba and scored 81 points in a single game. For many fans the No. 24 era is their favorite but it is the No. 8 Bryant who won the most championships. He helped in adding more Laker championships, making his own name well known, and increased the pride of the city of Los Angeles. There is no doubt the that city of Los Angeles loves Bryant and will forever remember the Laker superstar, as he has left his own mark on a team with so much history and many champions. Bryant will join the ranks of those before him who made the Laker team great, such as Magic Johnson, Kareem Abdul-Jabbar, Shaq and many more. Thank you, Kobe Bryant, for the memories, rings and highlights. April 13, 2016, Los Angeles will celebrate Black Mamba Day.